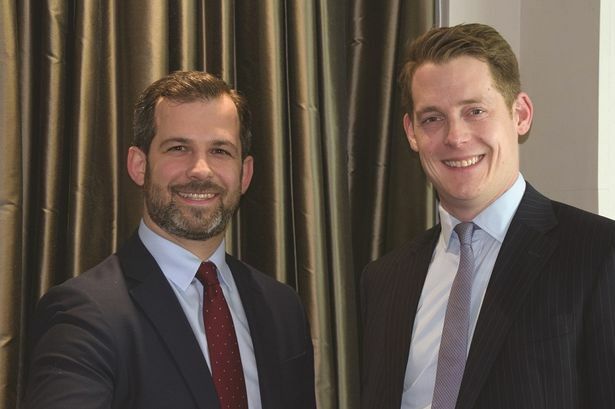 Two Birmingham retail agents have joined forces to launch a niche property consultancy. Creative Retail Property Consultants is a joint venture between former Cushman & Wakefield agent Ed Purcell and Scott Robertson who worked for Wright Silverwood. The company will be providing lettings, acquisitions, development, investment and freehold sales and asset management advice to the retail and leisure industry from its new base in Newhall Street. Mr Purcell has more than ten years&apos; experience in the retail and leisure industry, starting his career with King Sturge before moving to Cushman & Wakefield&apos;s Midlands retail team in 2011. He has worked with clients including Aviva Investors, Seven Capital and CBRE Investors. For the last ten years, Mr Robertson has been a member of the agency team at niche retail and leisure practice Wright Silverwood where he advised both landlords and tenants across all retail and leisure sectors. His clients there included LaSalle Investment Management, Columbia Threadneedle Investments and Hortons Estate. The pair have been involved in bringing a number of well-known food and beverage names to Birmingham city centre including Wildwood, Dirty Martini, Purecraft Bar & Kitchen and Damascena. Mr Purcell said: "It&apos;s an exciting time for the retail market in the West Midlands. "The market has evolved quickly over the last few years and we felt that now was the right time to launch a niche agency which could respond to these changes, offering a dynamic, proactive and modern approach to retail agency." Mr Robertson added: "We&apos;ve amassed fantastic experience and contacts in retail and leisure over the years and we&apos;re pleased to be able to continue to provide our clients with a first class service." Creative Retail has already secured appointments from Seven Capital to advise on its Midlands retail portfolio, London & Cambridge Properties on many of its West Midland retail assets and also Real Estate Investors on its High Street retail assets.